The Rebel Sweetheart. 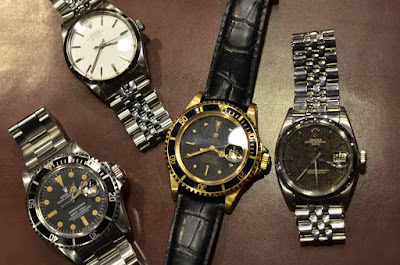 : Fashion Pulse | Vintage Watches. In this age of digital media and all the advancements in technology, it is surprising that vintage timepieces have made their way back into mainstream fashion magazines. Even with the new smart watches making headlines, there are troves of avid vintage timepiece and pocket watch collectors always looking for quality heirloom or inspired pieces with a history and a distinct classic design. While some collectors prefer the authenticity and nostalgia of a genuine vintage wind-up watch from the 1920s or a classic 1950s pocket watch with a chain, many modern watch collectors seek the look of an antique timepiece with modern quartz or Japanese movement. Authentic vintage watches are becoming incredibly difficult to track down. Auction houses, estate sales and pawn shops are some of the best places to find authentic turn-of-the-century timepieces, but their price tag often reflects the rarity of the pieces. Many top watch manufacturers of today are able to replicate the look and feel of these vintage timepieces at a fraction of the price. While the watches may have that distinct vintage look and design, they are often hand-crafted with modern materials and workmanship. Collectors purchasing modern replica watches can look forward to owning a timeless piece built with both longevity and simplicity in mind. 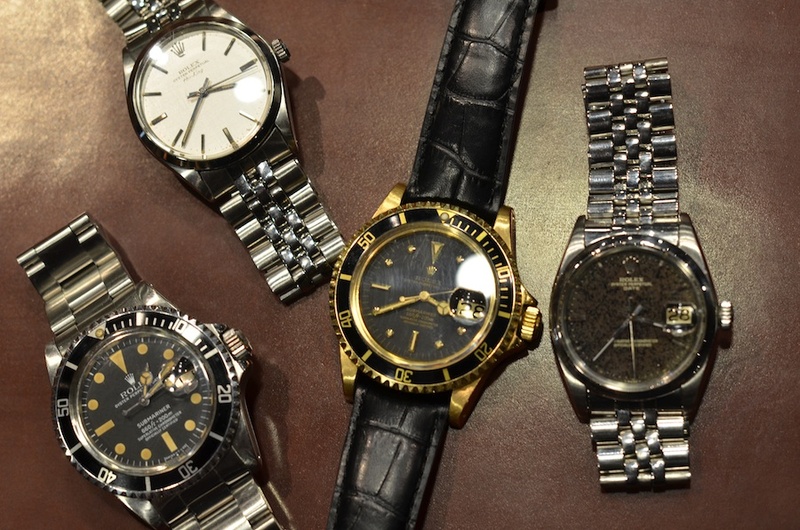 Most watch collectors prefer to shop online for replica timepieces. The vast majority of brick-and-mortar jewelry stores offer a limited availability and selection of inspired watches. Circa Watch Company is just one example of a professional business offering luxury vintage-inspired timepieces. Offering a wide range of formal, casual and unisex designs, you can choose the perfect timepiece from your favorite design era: an art deco-inspired piece from the 1920s, a round chronograph-style watch from the 1950s, or a rectangular timepiece that was popular during the 1940s. A manufacturer like Circa Watch Company understands that collectors want affordable timepieces offering durability, uniqueness and an authentic era-influenced design. I have a watch, but I haven't worn it in maybe ten years. I'm glad they are making a comeback, if anything else I might be able to make some money off of mine. I'm not sure what classifies it as vintage though. I have a thing for watches. I probably have about 30 of them, and I know I'm not done shopping! These look like very nice watches. I've heard they make great gifts for graduates. I personally haven't worn a watch in a very long time. Who doesn't love vintage watches? I know I am a fan of them myself! Those are beautiful watches! They look very stylish. Oooooo just loving these watches!!! Both hubby and I are total watch people! Sometimes its the old stuff that's really the good stuff. I love old watches! I love the vintage look of the old watches. The Circa Watch Company is a place I will have to check out for sure. A vintage looking pocket watch would be a great gift for my boyfriend indeed. Thanks for sharing. I haven't had a watch in such a long time. I always seem to lose them. Though I always like the look of having a watch. These watches looks gorgeous and stylish. The classic design watches would be perfect wear for my husband. Will definitely check out this to gift him. Thanks for sharing.